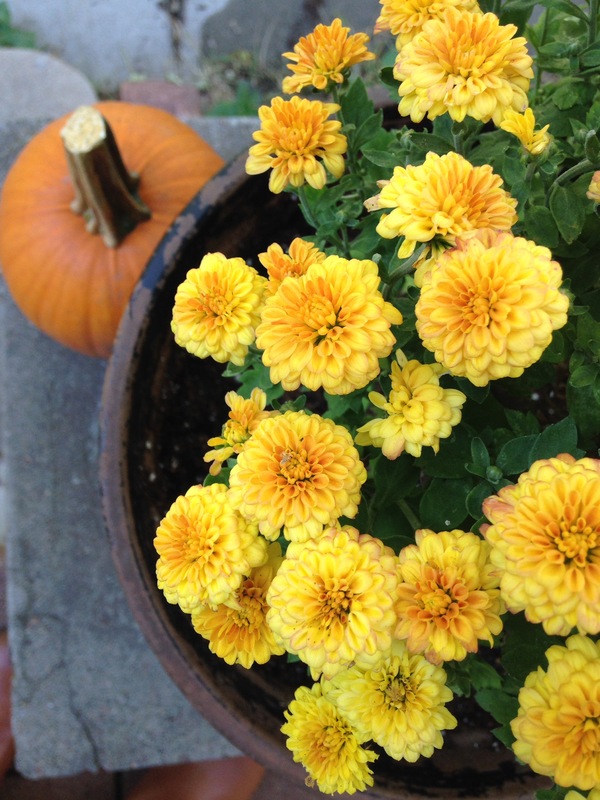 This weekend we ran around town trying to find the best selection of mums, pumpkins, and gourds for our front porch. Everyday on my way home from work I drive past Cirian’s Farmers Market. 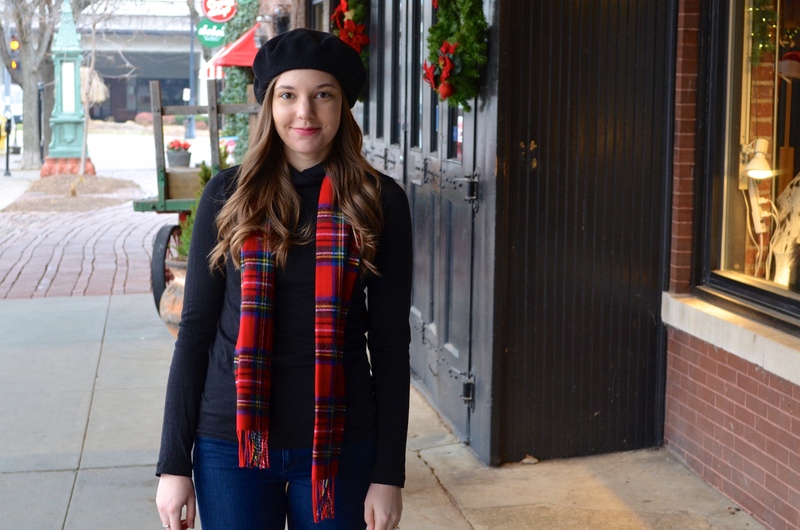 They are open for most of the year as there product varies by season (Spring & Summer flowers, Fall produce and decor, and Winter wreaths and Christmas Trees). I have never stopped in but their display always caches my eye so we decided to take a look. It was well worth the stop! 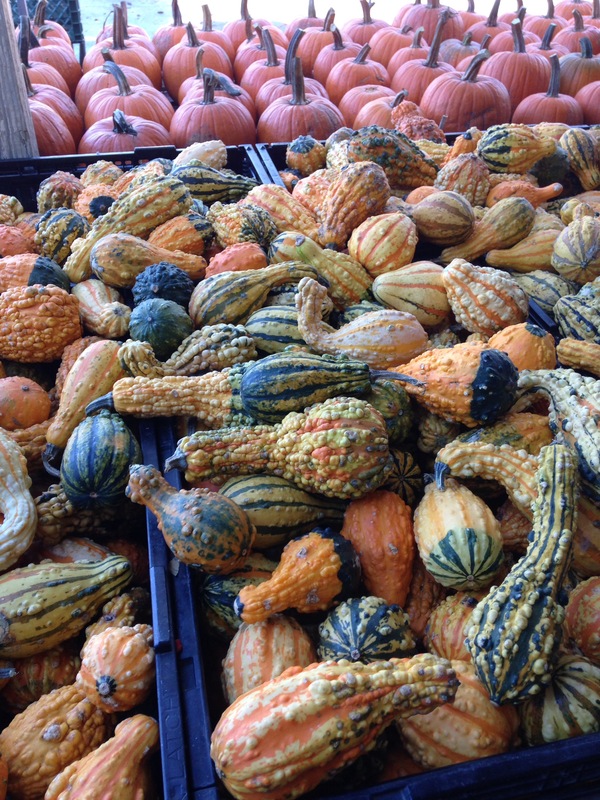 So many varieties of pumpkins, gourds and squash for both decorating and cooking with. I could have spent all day picking out pieces to bring home! However, we have a trip to the pumpkin patch coming up this weekend so we only grabbed a few things to get us started with our front porch. Our next stop was whole foods to get some golden mums to put in our planters out front. They had such a great selection that I wanted to bring home more than we had room for! With a few pumpkins and mums out front we are well on our way to decorating for fall! More pictures to come once the front is completed!